Were here to teach, help, support and develop what you would like to get from your dog or puppy. One of the biggest challenges is finding a daycare that can ensure your dog will have a great time while your away from them. 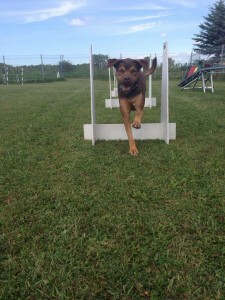 Here at the Ruffhouse we ensure your dogs fun, safety and enjoyment are top of the list. Our highly qualified staff are not just dog daycare people but also fully certified trainers. The biggest advantage to our program is we understand how things need to happen to ensure your dog comes home tired and happy. Although we may not know your dog initially our trainers will quickly assess and put a program together that’s best for your dog. Please contact us for pricing and space availability.